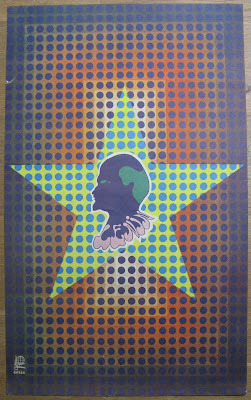 This poster is a great example of the Cuban design aesthetic. A serious political icon of the left, hero to the Soviets, and one of the architects of socialism, regarded in near god-like mythology during 20th century in eastern bloc countries, drawn here in light hearted pop-art graphics, styled like a Peter Max whimsy or a fifth member of the Beatles during the Yellow Submarine era. 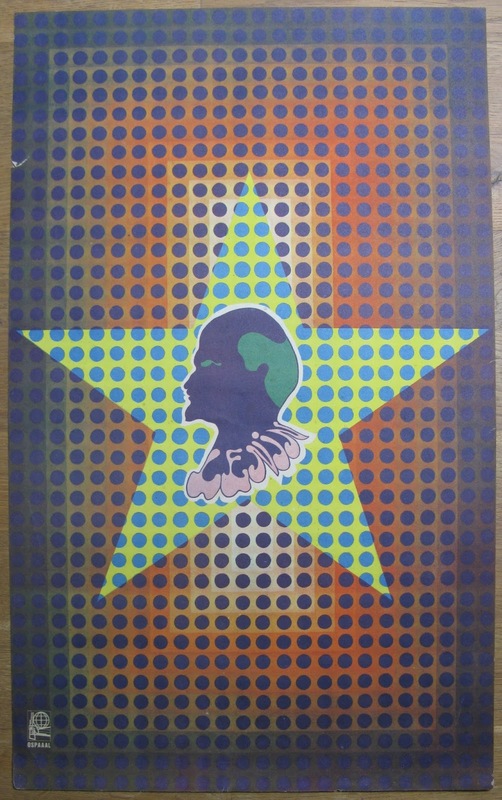 This poster is everything great about Cuban graphics - Rostgaard deliberately shunning the classic iconography of sickle, star and raised fist, and using the best of the west to have a chuckle at the authorities. A true classic of the genre.